I somehow have no idea how it got to November already. The year of 2014 is coming to an end and all my brain can think of is: “didn’t we just go into January 2014?”. Luckily for me, its not alot of “fog brain” compared to last year. This is not going to be a “summing up of the year” kind of post. That comes way later. But I really just wanted to highlight that it really has flown by. I have also recently had some kind of epiphany to “re-do” the house. You know, paint, scrape and more paint, rearrange, de-clutter and the possibility of building on a new playroom/work room for the kids. Yes, I know, it seems daunting. But I am determined to make this happen. One way or another. There is so much to do, but each task will be taken one step at a time. Currently we are busy repainting the outside of the house. I will be chronicling those trials and tribulations on my latest blog: A Little More Fluff I named it this purely because it is not based on the goings on of family and work etc. Its more décor, diy, vaping etc based. Its up and running currently so please pop on by and have a look. I also have another blog focused more on beauty, fashion, nails etc. etc. I Blog Beauty n Stuff has been up for a while. So if you haven’t gone round, it would be great if you could let me know your thoughts. 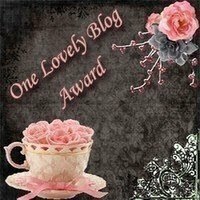 And obviously I shall still be blogging on here, so don’t think this blog is going anywhere! Three years ago today I was given a double dose of happiness. Three years ago today my life completely changed. Three years ago today I became a mother. I remember that day as being the single most anxious and nerve wrecking moment of my life. It was a scheduled ceaserian. Little Miss N decided she had enough and was laying breach. Obviously tired of fighting with A for space. When they first came out I cried. Like really cried. The thought of having these two not inside me and out in the world overwhelmed me. Of course then the doubts came. While still in theatre no less. Would my kids be healthy? Would I be a good mother? Would I cope? I guess it does sound cliche but those fears dwindled somewhat when they were placed in my arms. Its like everything around me went silent and it was just me and them. I guess you would say the bond was instant. I was in love.